345 entries of modern Chinese grammar, arranged alphabetically by Hanyu Pinyin. Designed specifically for Chinese language learners of all levels. Grammatical entries include three subsections: Function, Structure and Usage. (2) The Structure section explains grammar points, including descriptions of negative and interrogative structures, so that learners can become skilled at making sentences using negative structures and asking questions. (3) A Usage section is provided when applicable to compare and contrast structures found in the Chinese and English languages. This reference guide can give learners a clear understanding of grammar points and help them master Chinese. 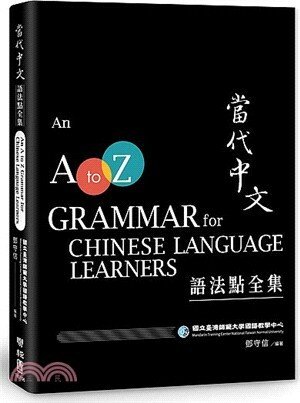 Excellent companion to any Chinese learning textbook. 到底, dàodǐ, (Adv), after all? how on earth…? Reduplication of Verbs, to indicate softened action (1). 誰知道, sheí zhīdào, who would have thought that…? 是不是, shìbúshì, is it the case that…? 怎麼這麼, zěnme zhème, why so…? 只要 A，就 B, (zhǐyào (Conj) A, jiù (Adv) B), B is true, as long as A is true.